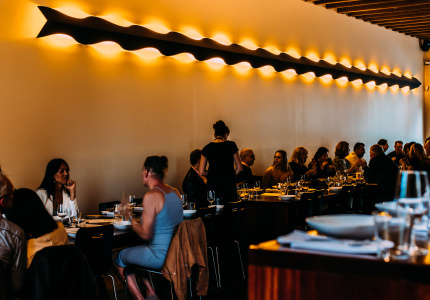 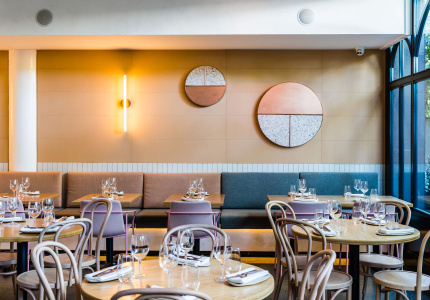 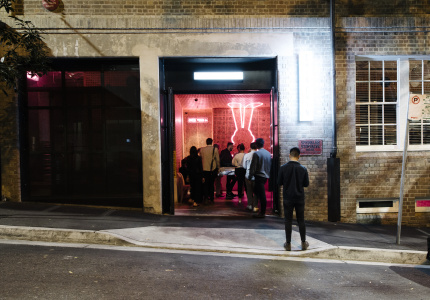 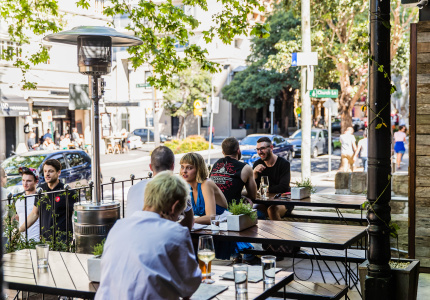 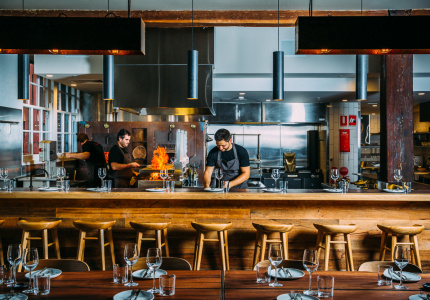 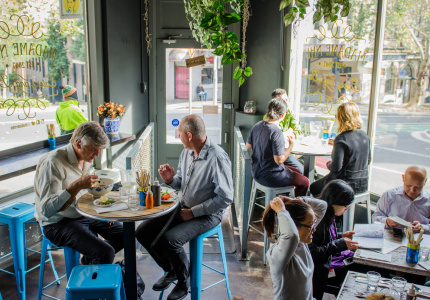 Chippendale may be on the up, but in terms of quality and quantity, Surry Hills remains the most vital area in Sydney’s competitive dining scene. 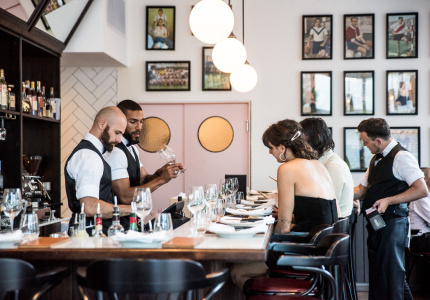 Choices here span Japanese, Vietnamese, Lebanese, French, Mexican, Indian, Italian and much more, packaged high and low, casual and formal, playful and serious. 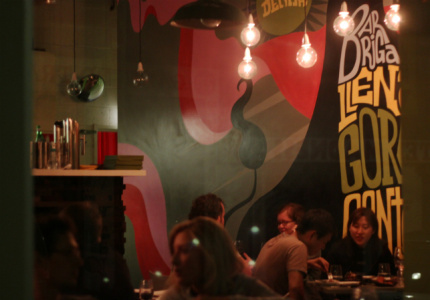 Get exploring. 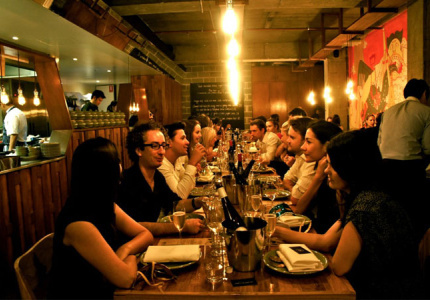 Charcoal-roasted meats and sides, paired with a choice of 300 wines. 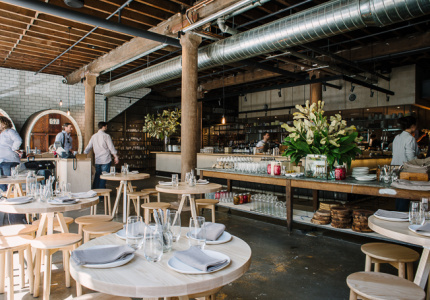 An ambitious set-menu restaurant from former Farmhouse and Dead Ringer chef Tristan Rosier. 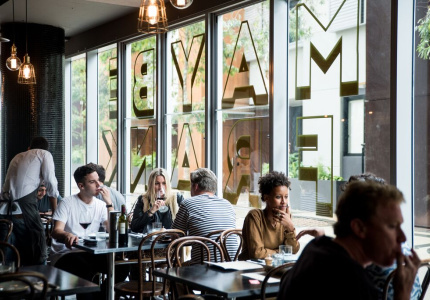 Another winner from Bill Granger, the man who revolutionised Sydney's cafe scene. 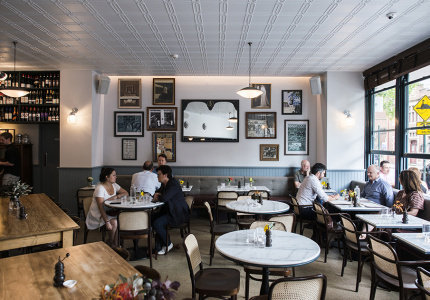 A sharp restaurant and bar from the team at Bulletin Place. 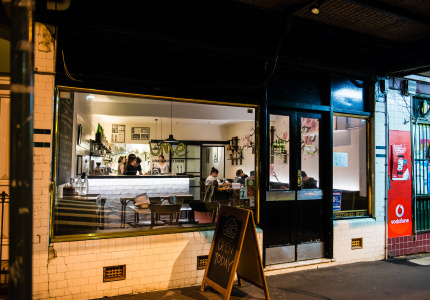 Naturally, it serves great cocktails. 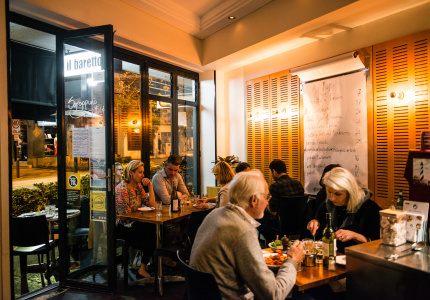 Noisy, spicy and lots of fun, just like the original in Melbourne. 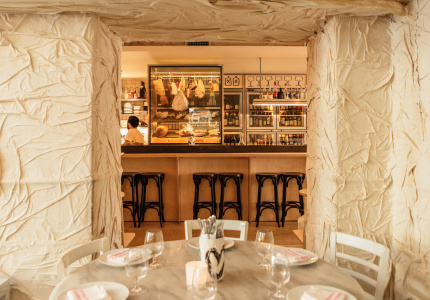 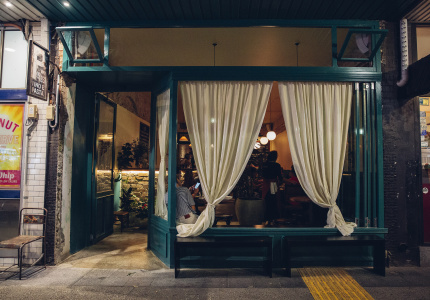 A dim, date-night-ready wine bar from the team at Porteño. 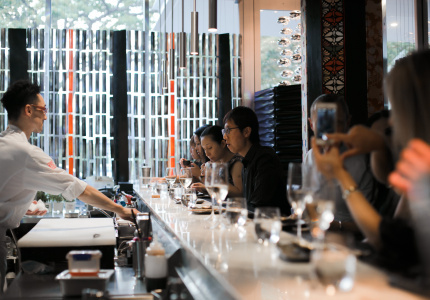 An oversized bento box-like Japanese eatery and sake bar. 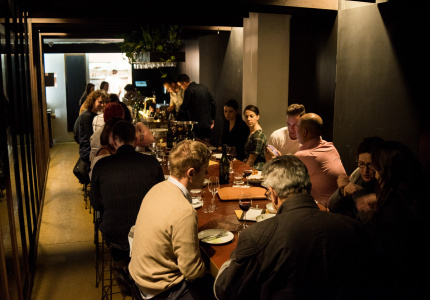 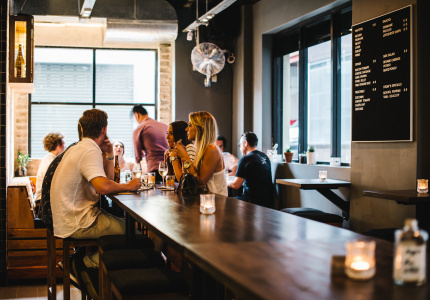 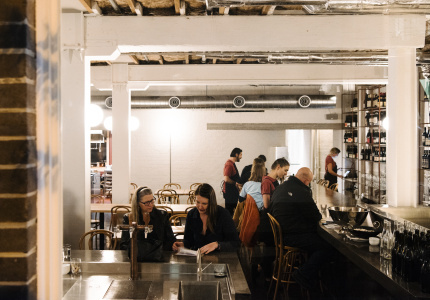 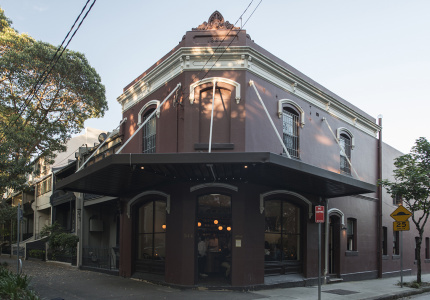 Brings the cellar door experience to the city. 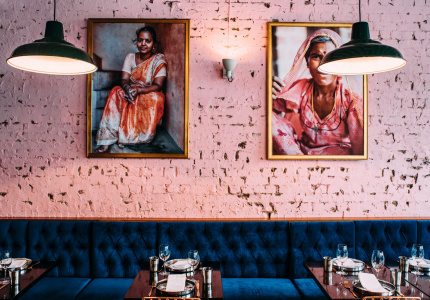 The super-popular “inauthentic Indian” restaurant from Melbourne and NYC is serving naan pizza and butter chicken without the butter. 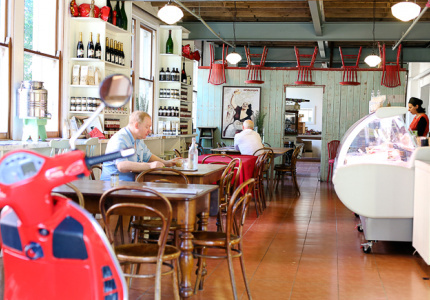 A regional Italian diner that’s barely changed since 1999. 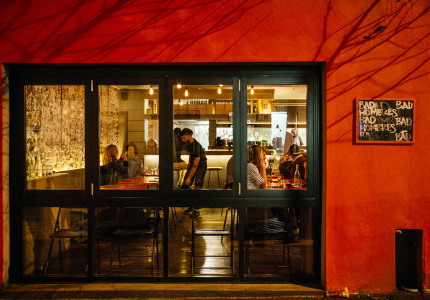 Thai restaurant loaded with energy and spice. 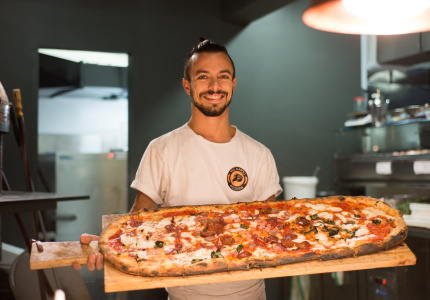 Simple pizza made well with great ingredients. 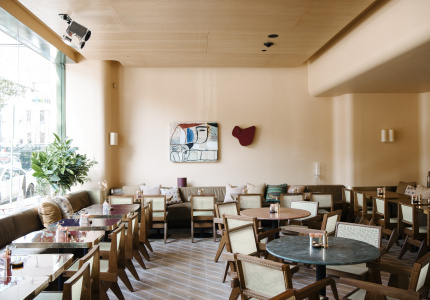 A slick tapas and cocktail bar with a dash of rockabilly. 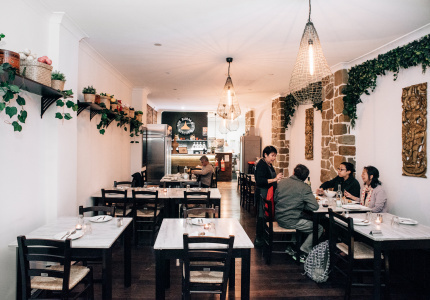 Northern-Italian pizza, pesto lasagne and cocktails. 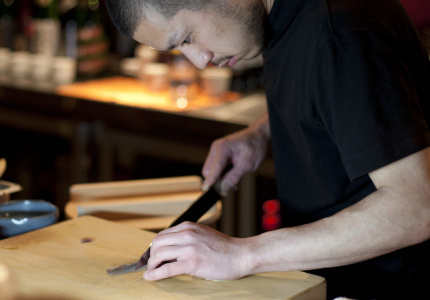 Get your fill of Japanese-inspired burgers. 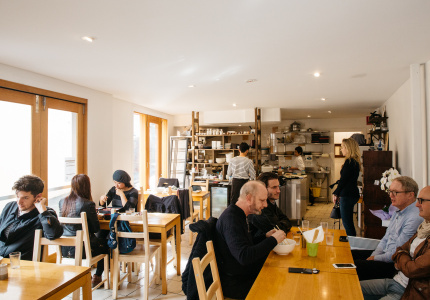 A pasta retailer turned restaurant. 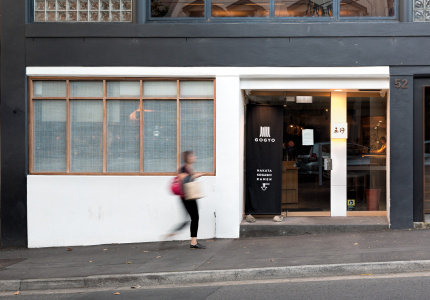 Top contender for Sydney’s smallest restaurant, Raita Noda is an eight-seater Japanese kitchen in Surry Hills. 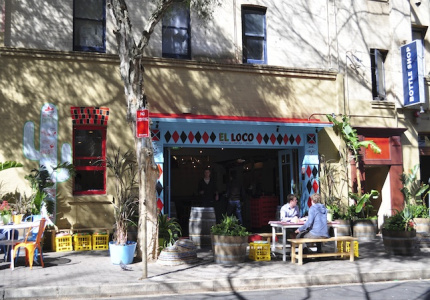 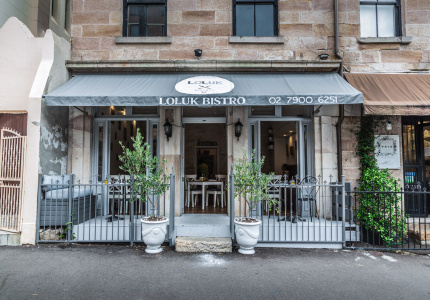 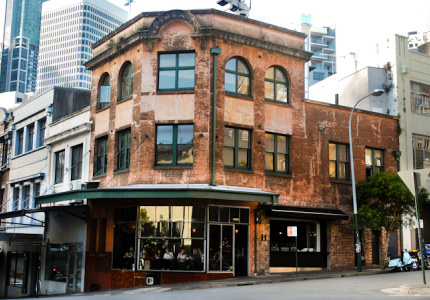 A traditional Sydney pub with a Central American twist. 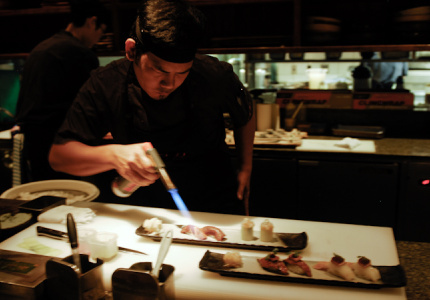 A Japanese dining experience with Western legs. 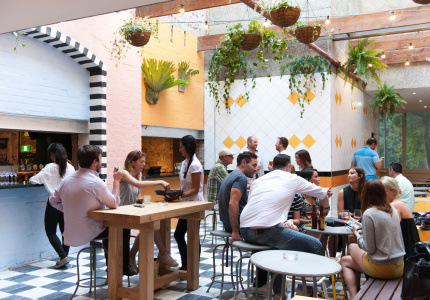 Merivale's taco fiesta in a pub. 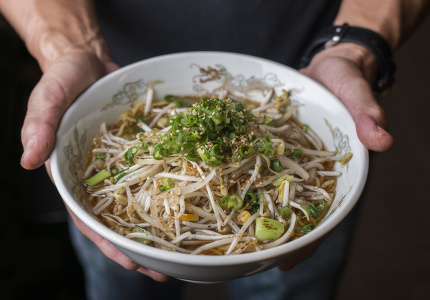 Home cooking, Modern Vietnamese and communal spirit collide at Mama’s Buoi. 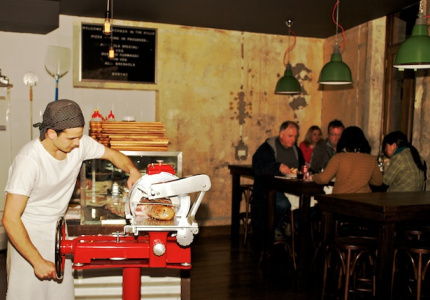 Authentic Neapolitan pizza on Crown Street. 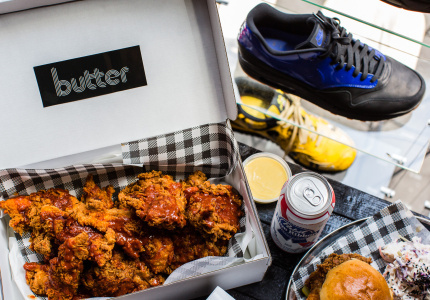 Sneakers and champers to go with your fried chicken. 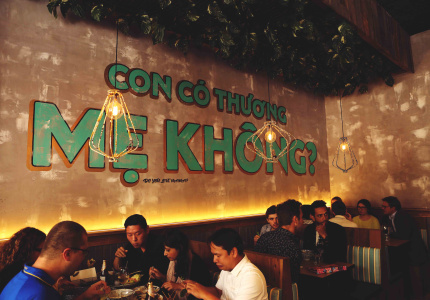 Authentic Vietnamese street food and a long list of Asian beers make this mini-chain a winner. 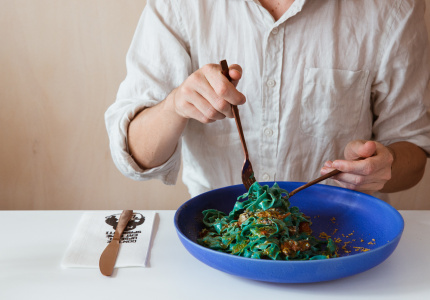 Line up for luxurious, velvety ramen made with the help of science. 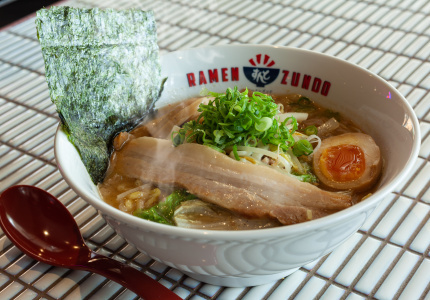 Some of the best light ramen in Sydney. 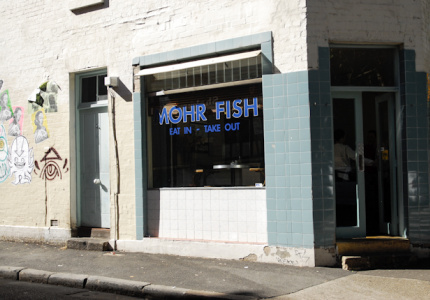 A fresh, tasty, and simple seafood paradise. 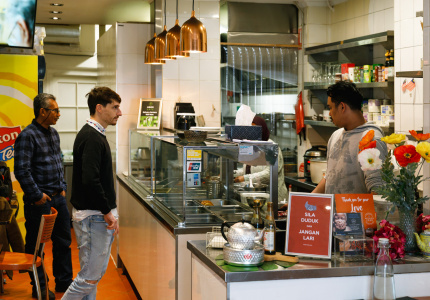 A tiny restaurant serving a very different kind of Malaysian food. 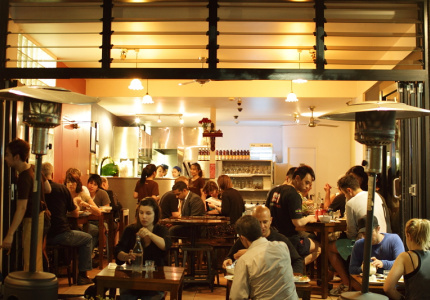 Traditional Burmese food and Myanmar Lager.